In the beginning, I didn’t understand my camera inside out. I walked into a popular nightclub in bangalore, Approached the event manager for shoots and she gave me a chance. At the dawn of my photography career, I started shooting parties and concerts around Bangalore. It was a good start yet I was clueless. Photography started to grow on me. Two years later, I finally resigned from Accenture and I took photography as a full time profession. Things were serious now and it wasn’t easy but my family support made it easier. I visited the beautiful remote location in India called Spiti Valley in the year of 2012. 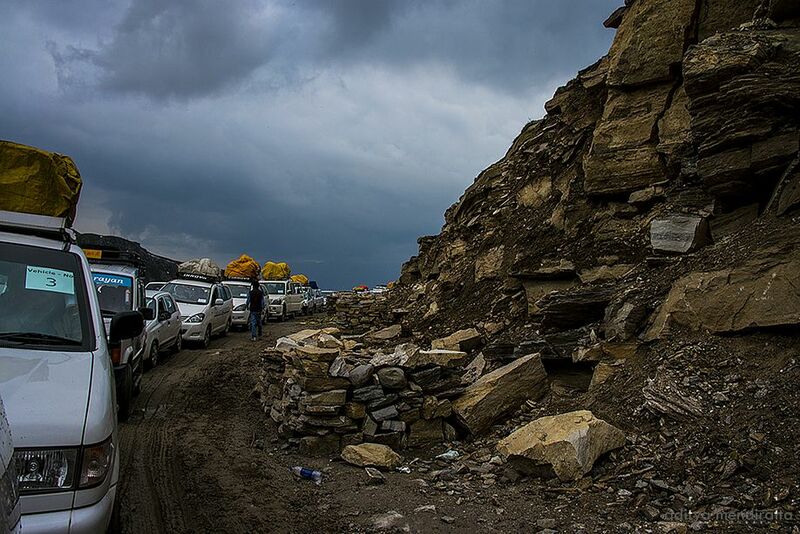 Being located in the northeastern region of Himachal Pradesh, the road to Spiti was challenging. Dwelling in the hurried city life of Delhi, I struggled there in the beginning and the the bustling streets didn’t charm me enough. The intense traffic at Rohtang Pass made me scared to the extent that I started feeling that it might take days for us to pass the road. Strangers sharing food with one another, taking photographs, the traffic lasted for hours. After passing the busy traffic, landslide and blocked roads made me aware of how difficult the journey was going to be. 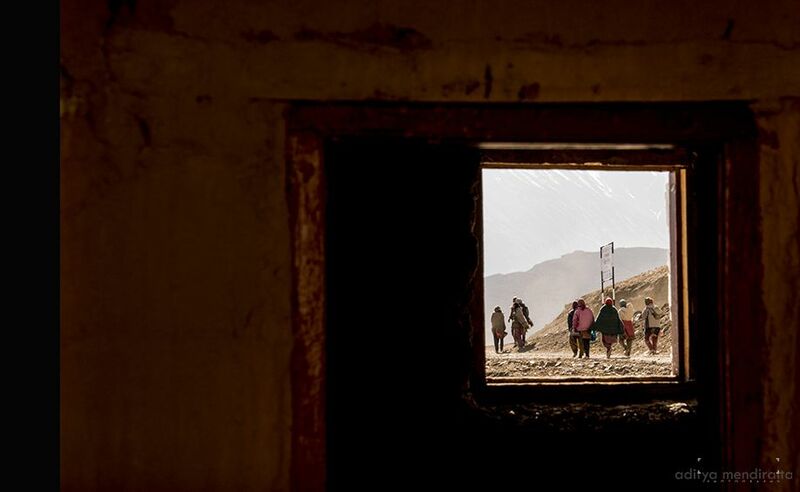 Due to blocked roads ahead, we had to spend the night in a Dhaba, sharing a small hut with twelve other people and I slept sandwiched in between them. Early morning, we were greeted by the sunshine falling straight to the mountains. Oh! 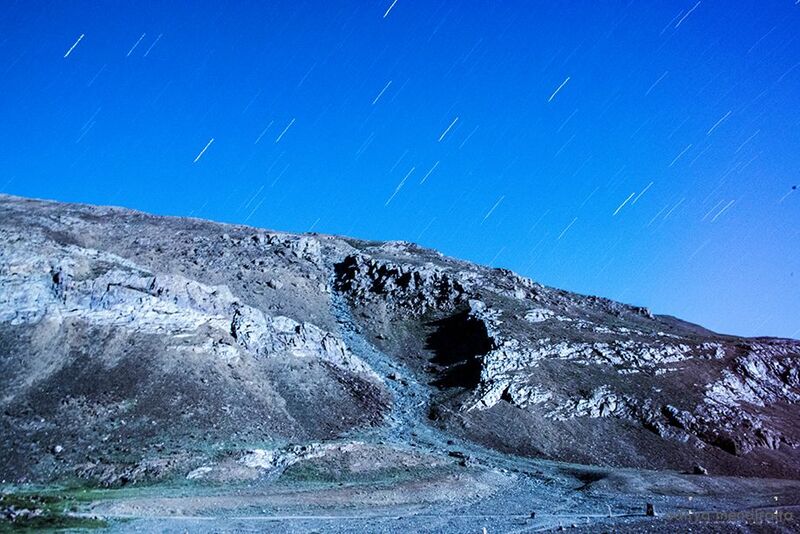 How I wish I had an image of that, my Nikon D800 ISO would have done wonders there. We continued our journey the next day. We were greeted by a very enthusiastic and funny man. 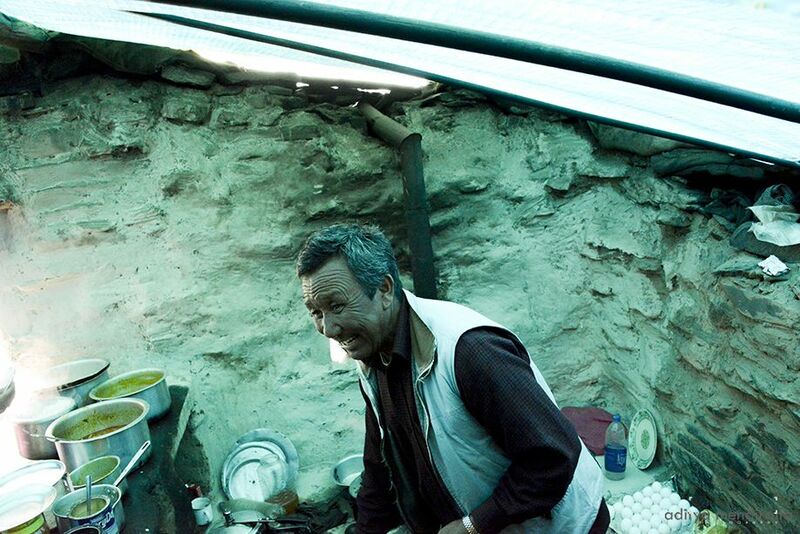 He loved to cook and we loved to eat. We finally reached Spiti after experiencing the gruelling drive for 12 hours. 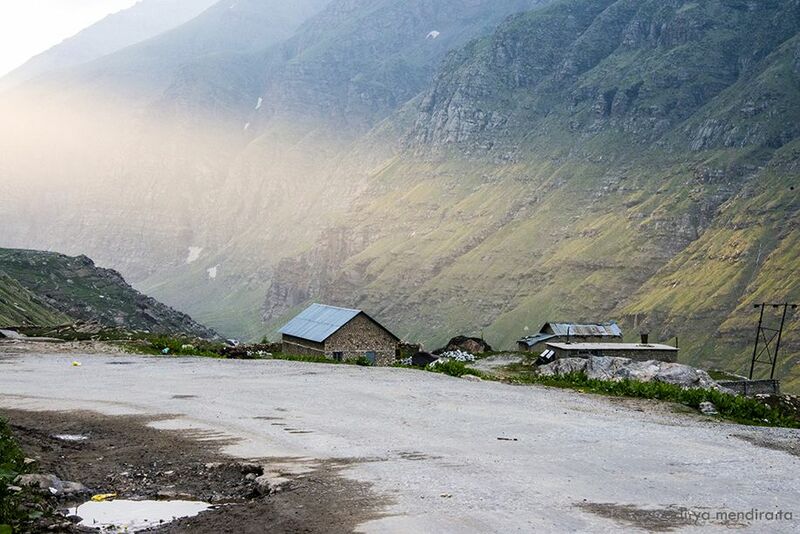 As the rusty signboard announced that we reached Spiti, I was thrilled. The road ahead of us that that seemed like it was leading to the sky. We acclimatised for a day and started travelling the next day. Exploring the villages around and capturing every bit of it with my camera, I felt peaceful. People’s friendliness and politeness in the villages made this journey very special. 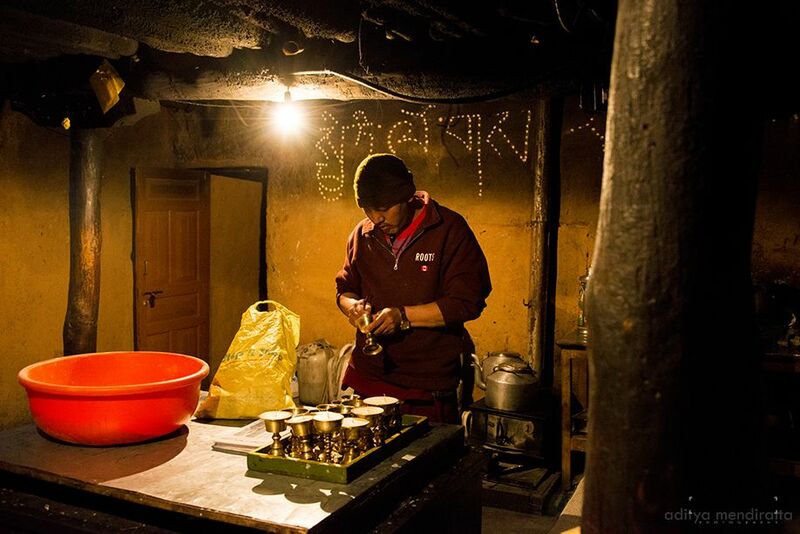 Our visits to their house were often rewarded by a cup of hot tea that had the best flavours in the world. 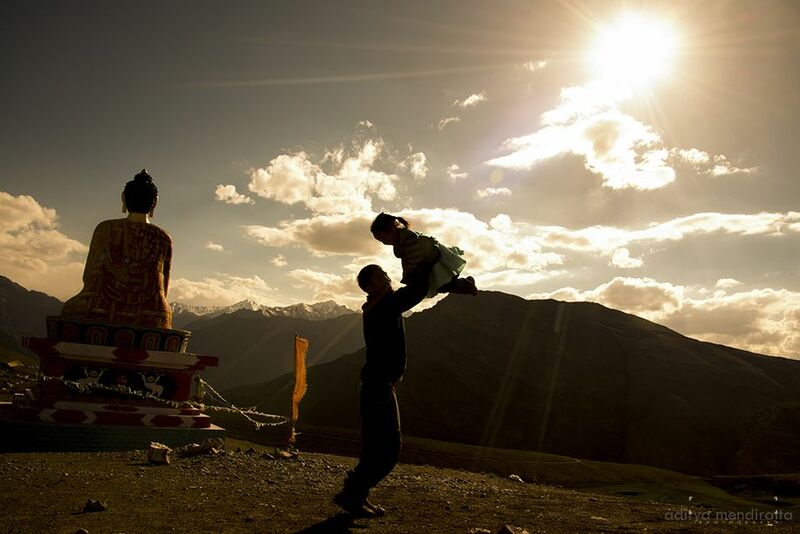 One of my favourite villages in Spiti was Langza where we were greeted by a huge Budha Statue. Although home stay did not work for us due to the unavailability, accessible homemade momo’s and soup followed by Maggi made us feel like a local, slowly discovering its taste. Once while we were grabbing delicious bites of food at a home stay, I noticed the owner of the home stay sneaked away to her room for prayers. I followed her to capture her portrait. 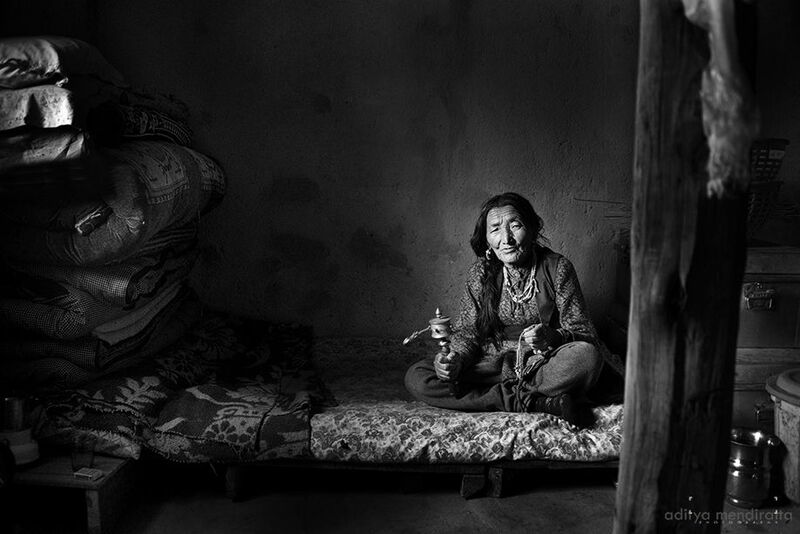 This portrait would win the Jet Airways Travel Photography contest, get featured in National geographic & 500px Editor’s pick and World’s Most Inspiriting portraits. 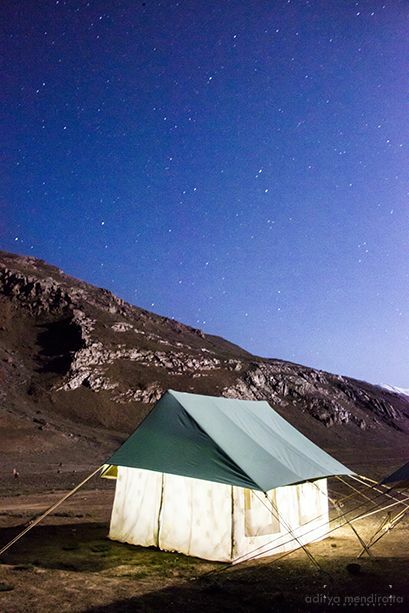 During the last few days, we camped at Chandratal Lake. This lake attracts many Devotees. It is believed that Indra, the King of Gods came down to transport Yudhisthra in this river. The locals believe that fairies often visit this lake at late nights. Some even claims that they have seen fairies. One of the locals we met expressed his love for a fairy that often comes to visit him. 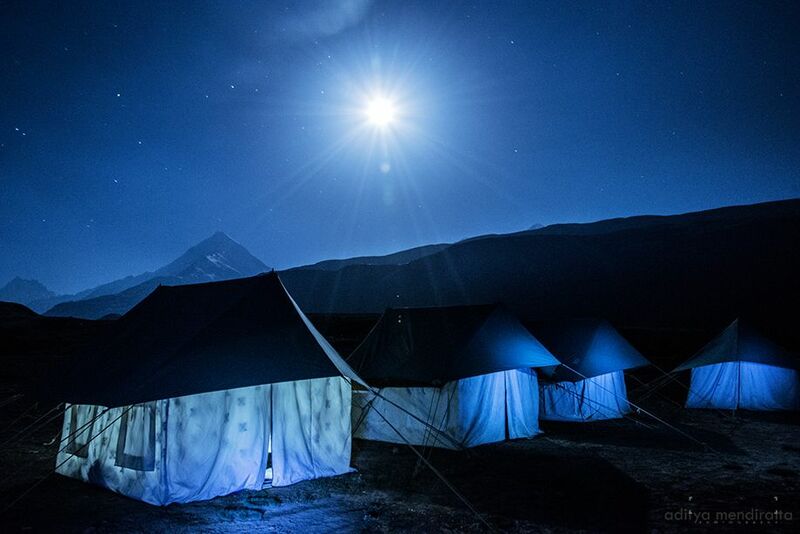 Camping at Chandratal Lake, gazing at the clear sky with friends was definitely a lifetime experience. Without electricity, phones, empty streets that extended till 50 kms brought countless thoughts in my mind and I wondered how it would be to live in another planet. The above long exposure shots were taken with a Manfrotto 055X Pro B attached with a 804 RC2 Head. This trip made me realise that time flies. 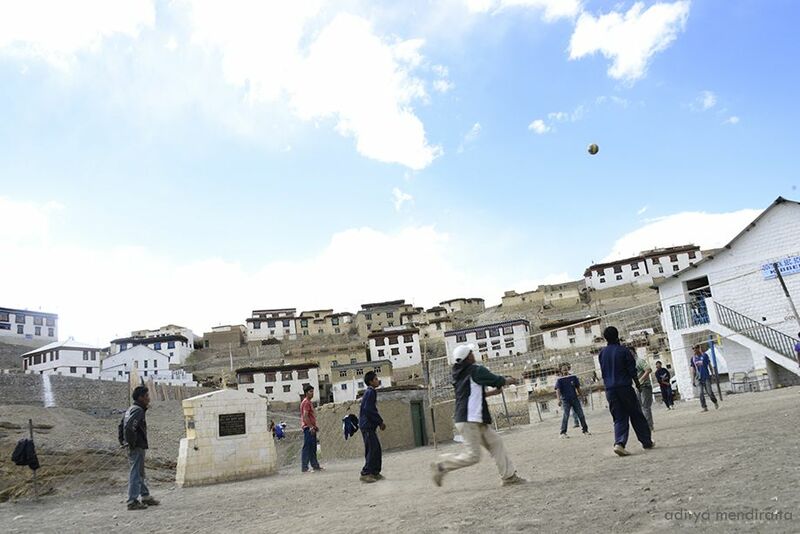 Not long ago I visited Spiti and it was almost time for us to leave. It was sad as I realised how attached I became to that place. Few friends travelled back to Manali while few of us went straight to Delhi. “Travelling makes people rich”. I learned, I met many people, so much I experienced. 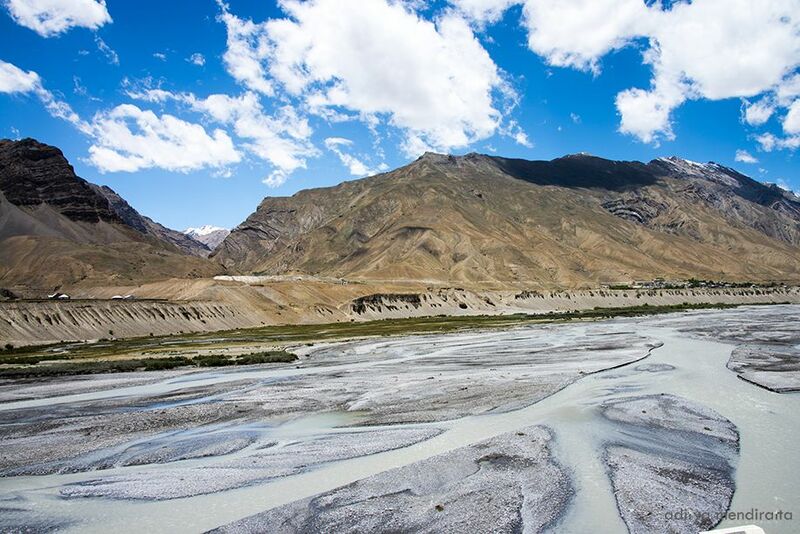 I wonder if if any other place in the world can be equivalent to the magnificence of this Spiti.